While USADA said Lochte was not using a banned substance, athletes can typically only receive IVs as part of hospital treatment or through an exemption. "I wasn't taking anything illegal. Everything was legal. You can get it at CVS, Walgreens, but there are rules, and you have to obey them," a "devastated" Lochte told a press conference in South Florida. The 33-year-old American posted a picture of himself getting the IV on social media in May which caused USADA to open an investigation, one that Lochte "fully cooperated" with according to officials. "Lochte received an intravenous infusion of permitted substances at an infusion clinic in a volume greater than 100 mL in a 12-hour period without a Therapeutic Use Exemption (TUE)," USADA said in a statement, adding the swimmer had accepted his suspension. Lochte's ban was backdated to May 24, the date he received the treatment that he said was taken as a precaution after his wife and son fell sick. "I have never taken a prohibited substance and never attempted to gain any advantage over my competition by putting anything illegal in my body," he said. "I would never intentionally violate any anti-doping rule. Unfortunately, although the rule is a newer one and not as widely known as others, I should know better." He will miss the US national championships which begin in California this week, next month's Pan Pacific Championships in Tokyo and the 2019 world championships in South Korea. 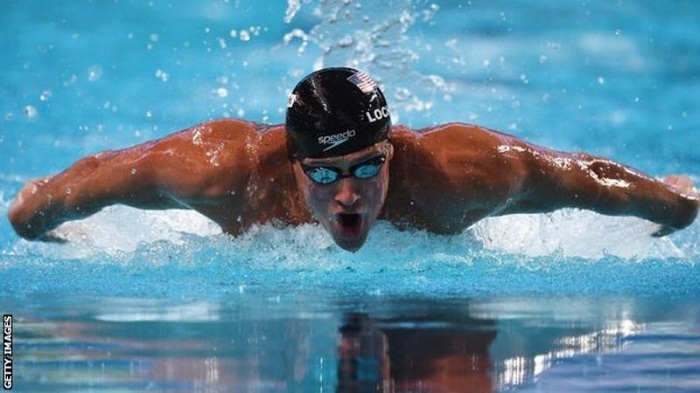 However, Lochte has spoken of his plans to compete for a spot on the team at a fifth straight Olympics in 2020 -- he would turn 36 during the Tokyo Games. "I'm still going to train every day and I have goals that I want to accomplish in 2020, and if anything this will make me more hungry and I'll definitely be there," he said. In 2016, Lochte was banned from swimming for 10 months after he claimed that he and three other US swimmers were robbed after a night of revelry during the Rio Games. Brazilian police later determined, in part based on surveillance video, that Lochte had largely fabricated the story. He was charged with making a false crime report, but a Rio appeals court eventually threw that case out.